The trailer gives us a look at the direction the film is going in, and highlights Rey’s (Daisy Ridley) training as a Jedi under Luke Skywalker (Mark Hamill), as well as featuring many a potential sub-plot. The trailer does a great job at teasing just enough information to get the masses talking prior to the film’s release, without spoiling anything. 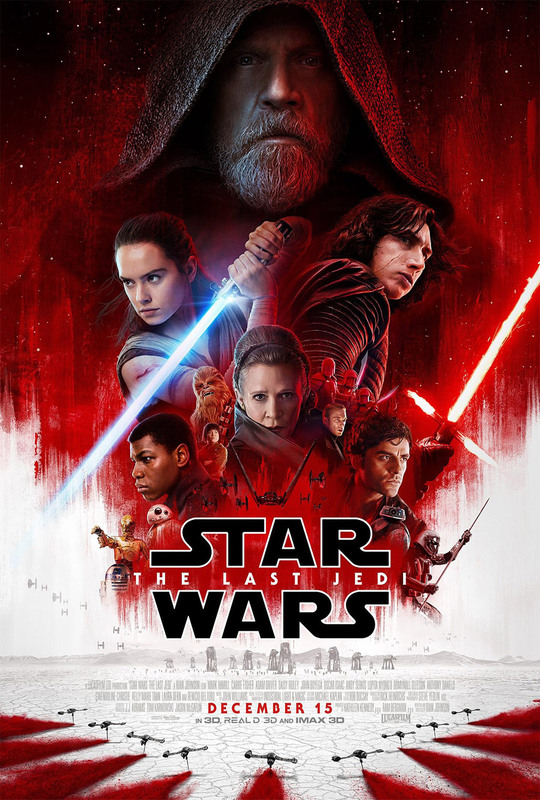 Director Rian Johnson and the rest of the creative team behind the film appear to have carried across all of the excellent attributes from past Star Wars films into this one, including some awesome visuals, epic set pieces, fantastic creature design, and a morally-conscious story. It’s those things that have made the Star Wars franchise the universal phenomenon it’s become today, so we should be in store for something special with the release of The Last Jedi. The film hits cinemas on 14 December 2017, and stars Mark Hamill, Carrie Fisher, Adam Driver, Daisy Ridley, John Boyega, Oscar Isaac, Andy Serkis, Lupita Nyong’o, Domhnall Gleeson, Anthony Daniels, and Gwendoline Christie in returning roles. Pre-release tickets for the film have now also been released, and you can secure your tickets at Village Cinemas here, or at Hoyts here. And if you haven’t seen it already, check out a cool behind-the-scenes video for the film here. Check out the trailer as well as the new poster that dropped along with it below, and let us know your thoughts in the comments.